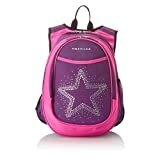 What are the Best Rated small backpacks for kids? The beginning of school is looming. It’s that time of the year again where you have to take your kid shopping for brand new stuff to use for school such as school supplies, shoes, and bags. Which one of these best-rated small backpacks should you pick? 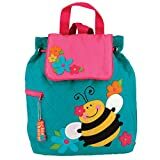 This is the perfect backpack for kids entering pre-school as it is small enough to be carried by their small frames, yet roomy enough to fit a lot of stuff for school such as pad papers, crayons, pencils, packed lunch and snacks, and a change of clothes. It is one of the best-rated small backpacks from Amazon at 4.5 out of 5 stars, from reviews by 177 customers. PROS: It is made of polyester fabric that is easy to clean and wash in case your child dumps his lunch over it or spills juices. Dirt and mud can also be easily taken off. This is good because we all know that kids are very prone to get into a lot of mess. The O3 backpack has an insulated front pocket, which is perfect for storing lunch and snacks. This way, your child doesn’t need to lug a separate bag for his lunch. The interior of the main pocket is roomy enough for your child’s school needs. In the exterior, you’ll find a side drink pouch, a pocket for storage of smaller items like pencils and erasers, and an adjustable chest strap for a more stable wear. 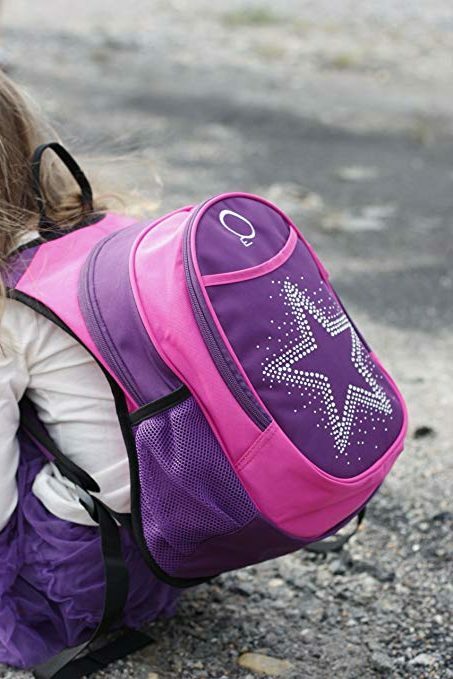 The O3 backpack also comes in a variety of fun designs and colors for both boys and girls. CONS: The top seam of the bag is prone to easily fraying. The customer who experienced this said that it’s not advisable for the bag to be carrying a lot of weight, which is really the case because this bag is intended for toddlers, and they’re not supposed to carry a lot. Still, this isn’t an excuse for a low-quality bag for the price. On the bright side, O3 offers replacements. Lunchbags easily wipe clean or are machine washable on a gentle cycle and allow to air dry with a gentle detergent. This backpack is great for toddlers because it is very safe for them, being BPA free, Phthalate free, and PVC free. It is small enough for little bodies yet functional enough to contain all their necessities. Like the O3 backpack, the Skip Hop bag comes with an insulated pouch for snacks and an adjustable mesh pocket for bottled drink. It is rated 4.6 out of 5 stars and is reviewed by 1,296 customers. PROS: This bag is perfect for kids aged three and up. It features a roomy compartment where all the things your child needs can be stuffed securely inside. The straps are padded and adjustable so your child can wear it with comfort. It’s also easily accessible to children as the zippers are made of extra-large handles for easier opening and closing. It comes in a variety of designs with cute appliques suited for your child’s creative whims. As the name of the backpack suggests, all bags are designed to mimic different animals. Boys and girls alike will love its cuteness. Girls will love the Bee, Owl, and Ladybug, while boys would like the Dinosaur, Fox, and Zebra. CONS: Majority of the negative reviews complained about receiving fake items. Instead of Skip Hop, they received knockoff products that have different brand names. Be weary; users have complained about the cheap materials used in the knockoff product, and it smelled terribly of chemical. Return the product to Amazon as soon as possible and demand a replacement or refund. This bag is perfect for boys who want to have some sort of a “buddy” when going to school. Your child can choose their sidekick from the four designs: Dino, Dog, Monkey, and Tiger. It features cute ear appliques that your toddler can play with. It is rated 4.3 out of 5 stars from Amazon. PROS: The 100% polyester material isn’t high maintenance and you can hand wash it with ease. You don’t have to worry about running colors or fading of the bag. This is good because children are prone to making a big mess. Also, when you buy one of these bags, a portion will go to a children’s scholarship fund. You’re not only making your child happy with this bag, but you’re also able to send children to school. CONS: Customers complained about the sub-standard materials used. They recommend it for toddlers under five years old who won’t give it much tear and wear. However, for older kids who have more items to put in their bag, this may not be advisable as the materials can fray easily. Girls will swoon when they see the lineup of this adorable bag. It comes in 14 varying colors and designs that each comes with unique and adorable appliques. Even adults will take some time to recover from its cuteness. You can choose from pastel colors, pinks, purples, turquoise, and apple greens, and designs, flowers, princesses, castles, butterflies, and fruits. PROS: Out of all the top-rated bags listed here, this is the cutest. It is made of 100% cotton that is soft and comfortable to wear. It can also be machine-washed through cold water on gentle cycle. The quilted material also holds up its shape perfectly and you can fit in a lot of stuff for a day’s work at school, at grandma’s or at the playpen. CONS: This bag is only good for toddlers who aren’t supposed to be carrying too much. Older kids who use this for school may find that the bag isn’t enough to hold all their belongings. Regular sized folders and books might stick out and not fit well. Whatever you pick, involve your toddler in the selecting process, as it can be really enjoyable for him/her to choose the stuff that he/she will use. 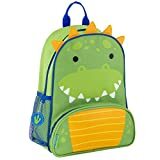 If your kid really loves and adores the backpack, chances are, he will use it a lot, saving you some cash when the next school year rolls.